Siam Paragon opened in December 2005 on the site of the former Siam Intercontinental Hotel. 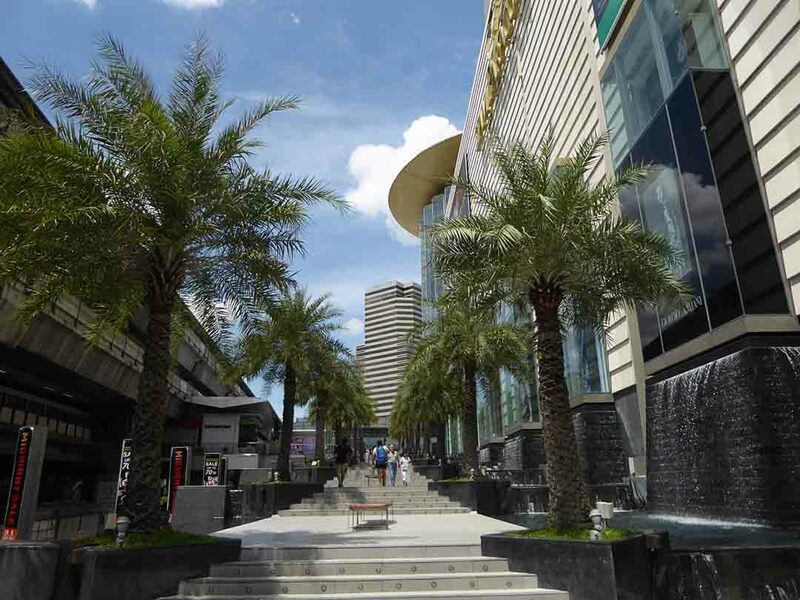 It is the 3rd largest mall in Thailand featuring over 250 stores. 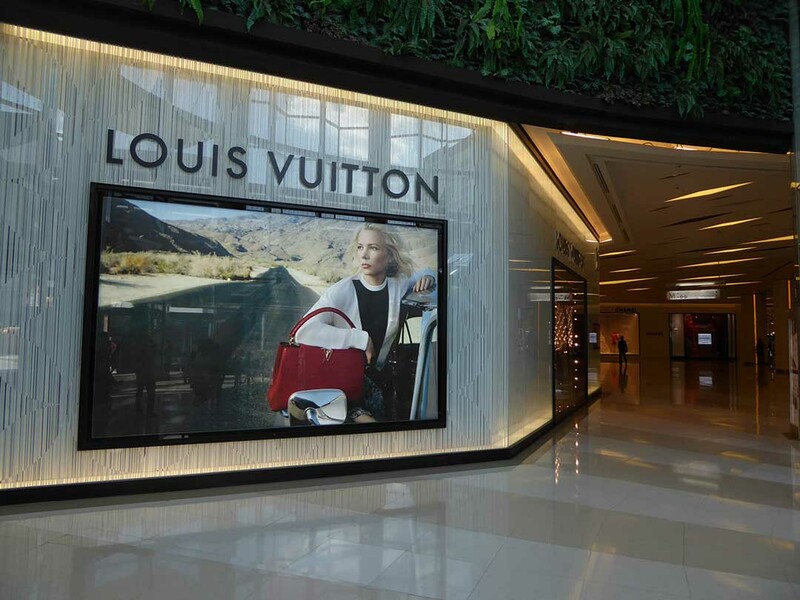 The Mall aims primarily at high-end shoppers. 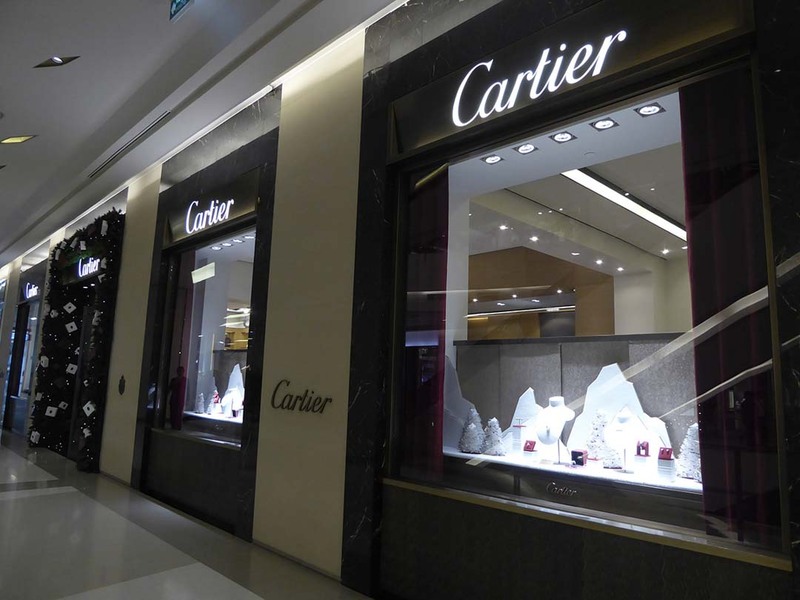 The Mezzanine Floor is home to over 50 luxury brand names from clothing & bags to watches & jewelry. 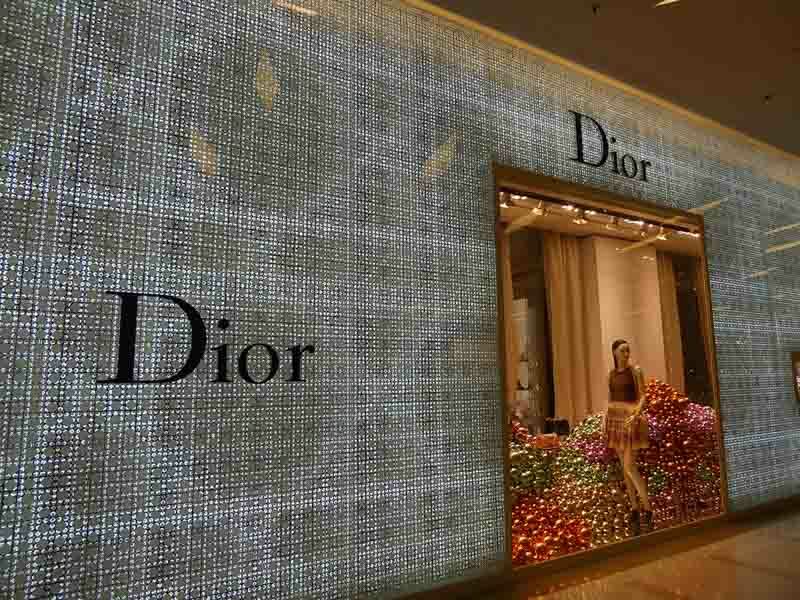 Gucci, Prada, Vuitton, Chanel, Hermes, Cartier, Versace, Dior, & Balenciaga all have flagship stores. 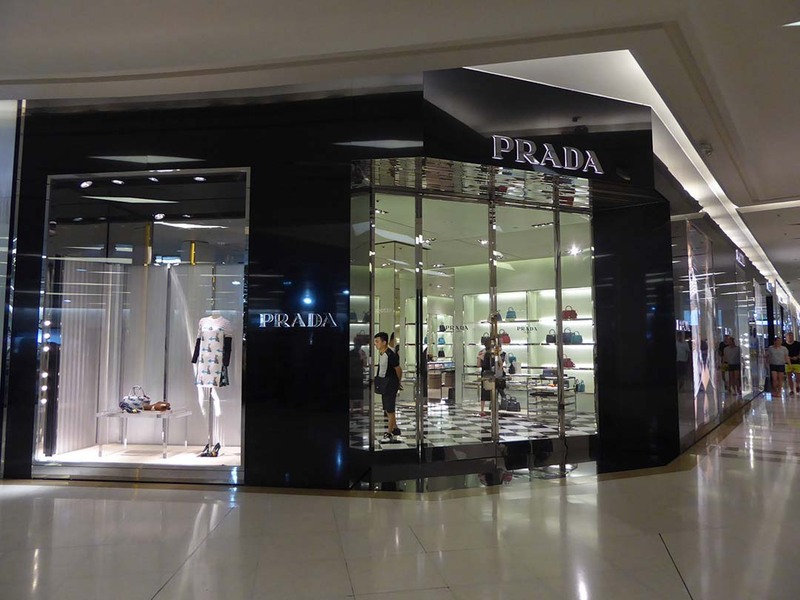 There are more upmarket brands such as Coach & Longchamp on the first floor along with high street giants such as H&M, Uniqlo and Zara. 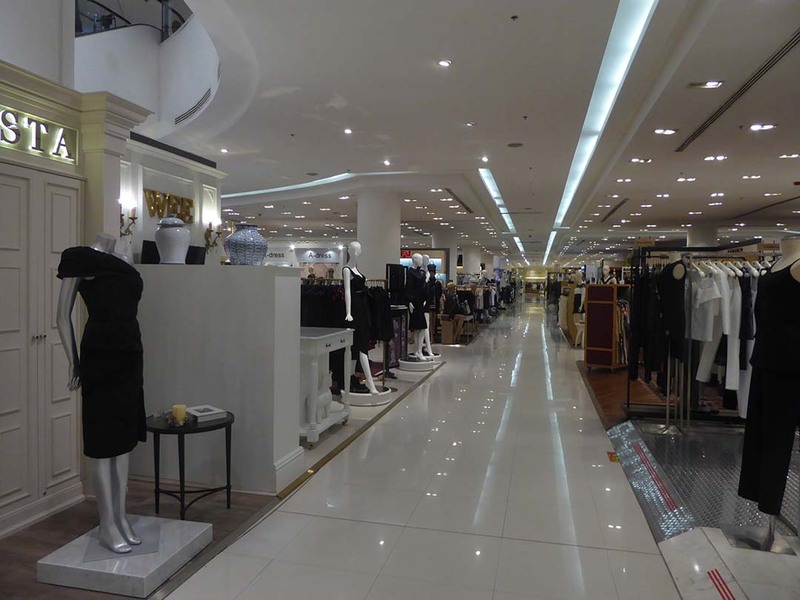 There are many specialty retail stores selling jewelry, electronics, cameras, musical instruments, high-end audio equipment, homeware, and books. These can be found mainly on the second & third floors. There are IT stores on the fourth floor. 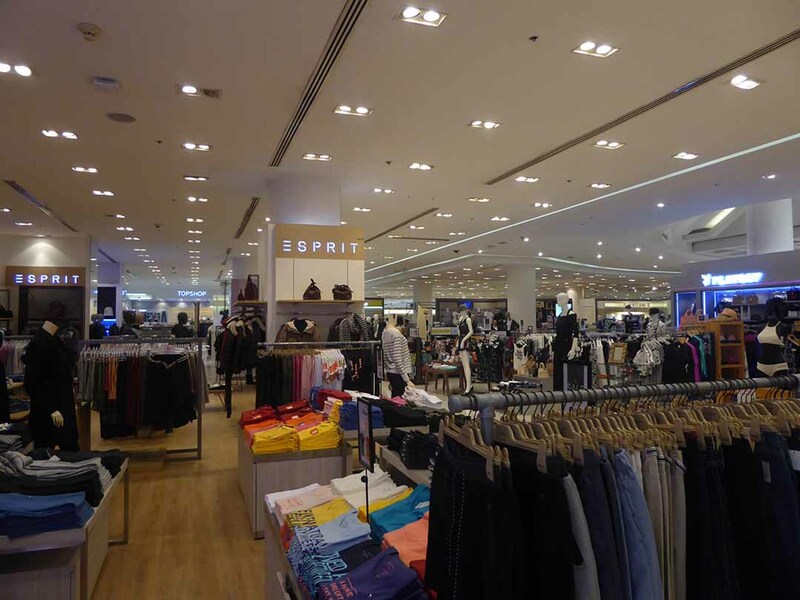 The 8-floor Siam Paragon Department Store sells just about everything you can think of including cosmetics, men & women’s clothing, sports equipment & apparel, stationery, electronics, homeware, white goods, children’s clothing & toys. 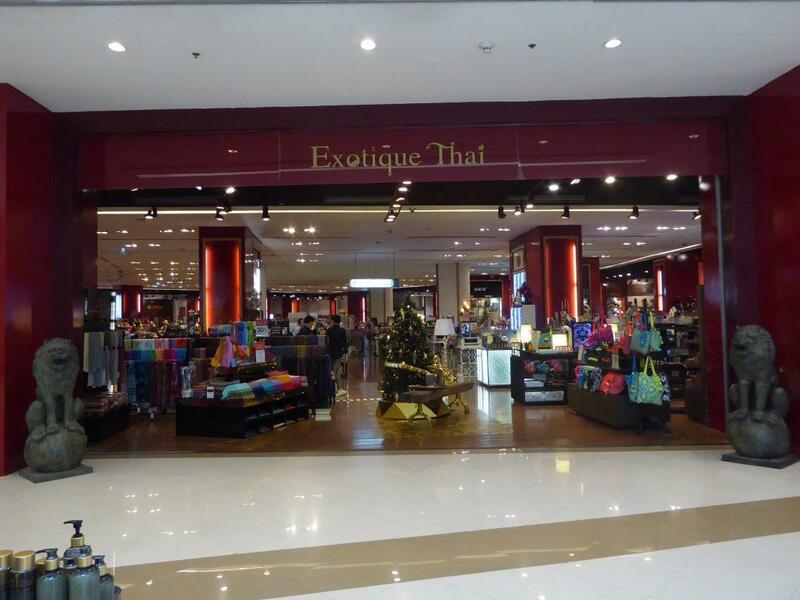 Exotique Thai on the fourth floor sells Thai handicrafts & home decor items. 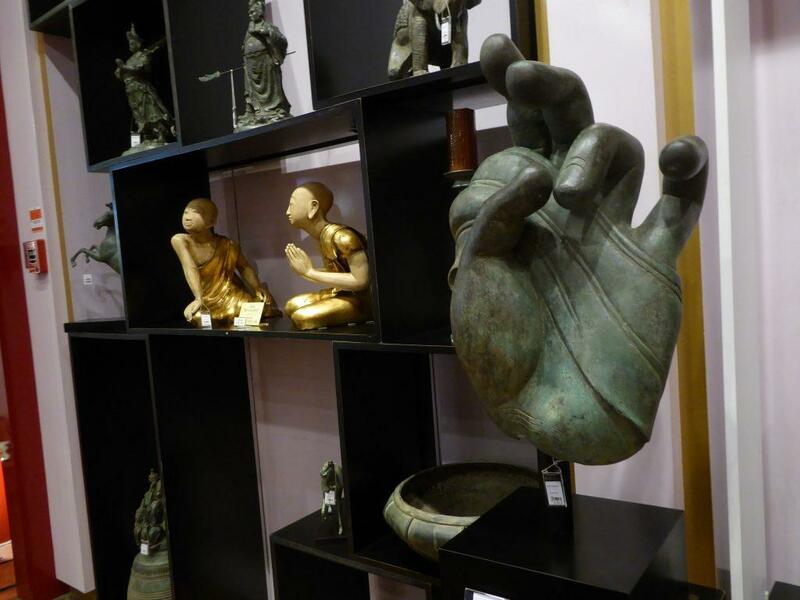 Other stores on the same floor sell replica antiques. 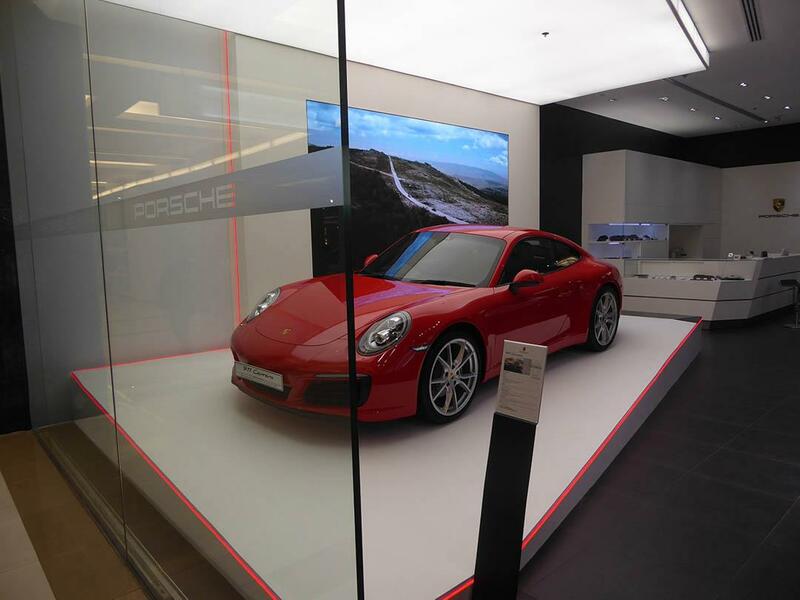 The second floor features luxury cars with showrooms for Rolls Royce, Porsche, Maserati, Mclaren, Lamborghini, Jaguar, Bentley & Aston Martin. Motorbikes are also represented by Ducati & Harley Davidson. 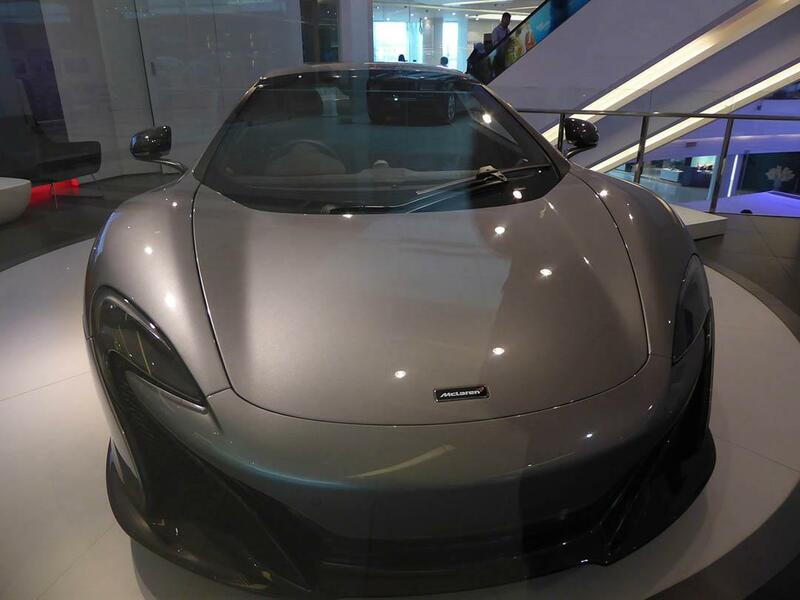 Siam Paragon features a wealth of entertainment activities. 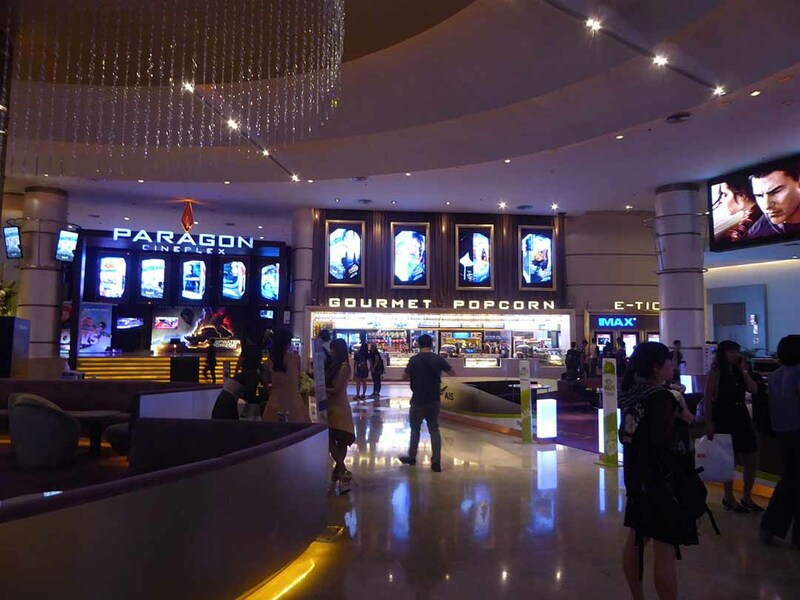 There is a 15 screen multiplex cinema on the fifth floor along with an IMAX theatre. Also a bowling alley & karaoke rooms. The Paragon Hall host regular events, exhibitions & concerts. There is also a fitness club & Spas. 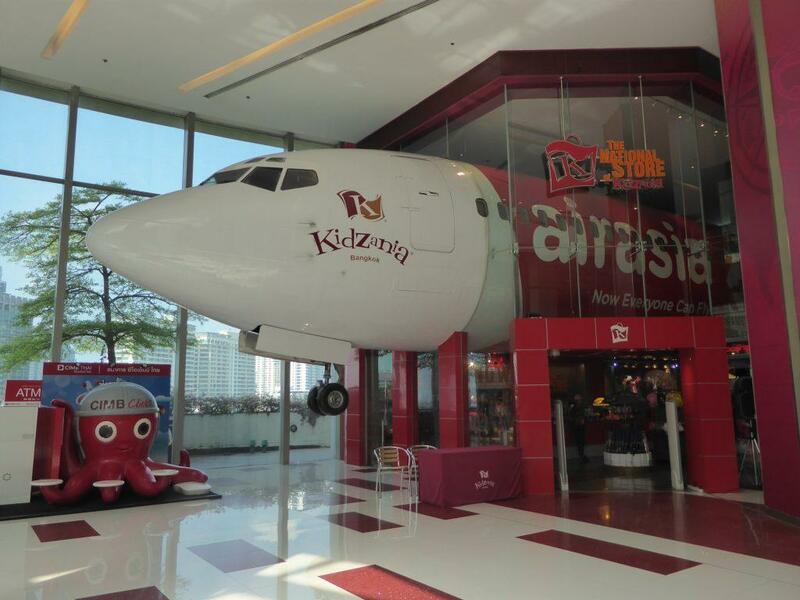 For Children, there is a branch of Kidzania where they can experience the world of work by role-playing various jobs. 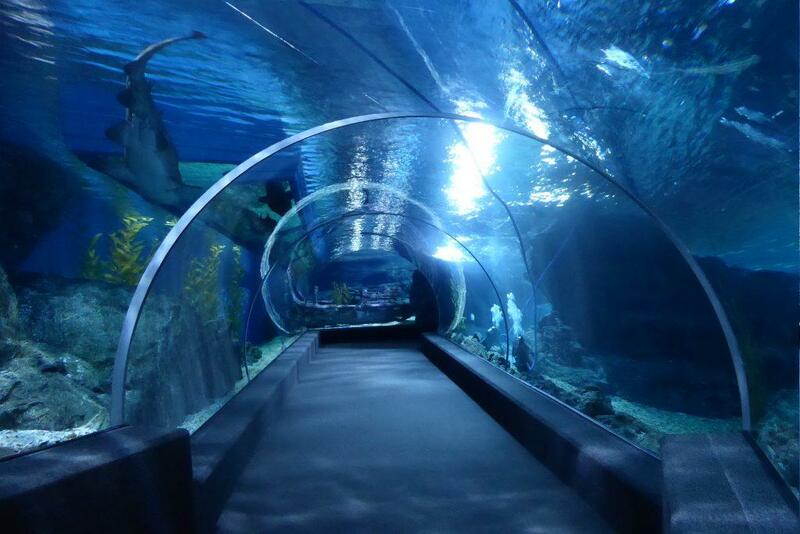 Sealife Aquarium is in the basement featuring a massive collection of marine creatures. 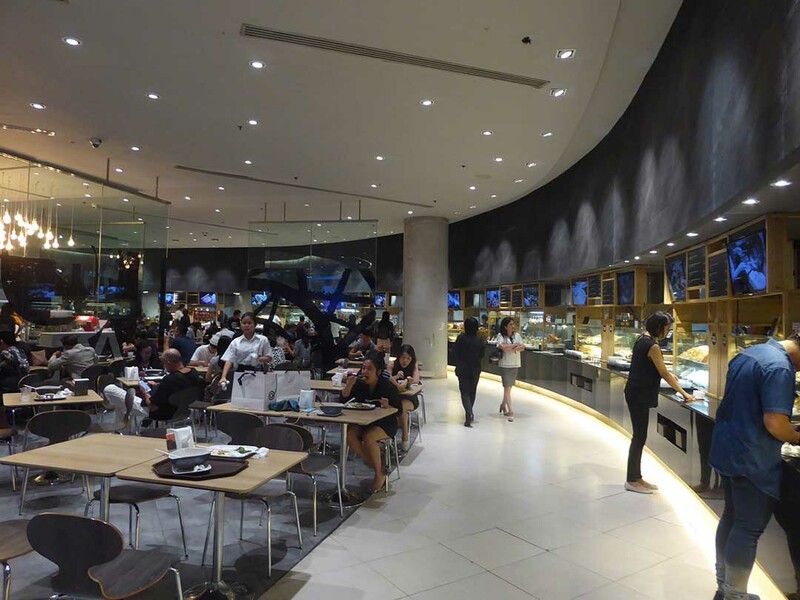 The Siam Paragon basement features a gourmet food market, a large reasonably priced food court, Asian & Western restaurants, and International fast food outlets. 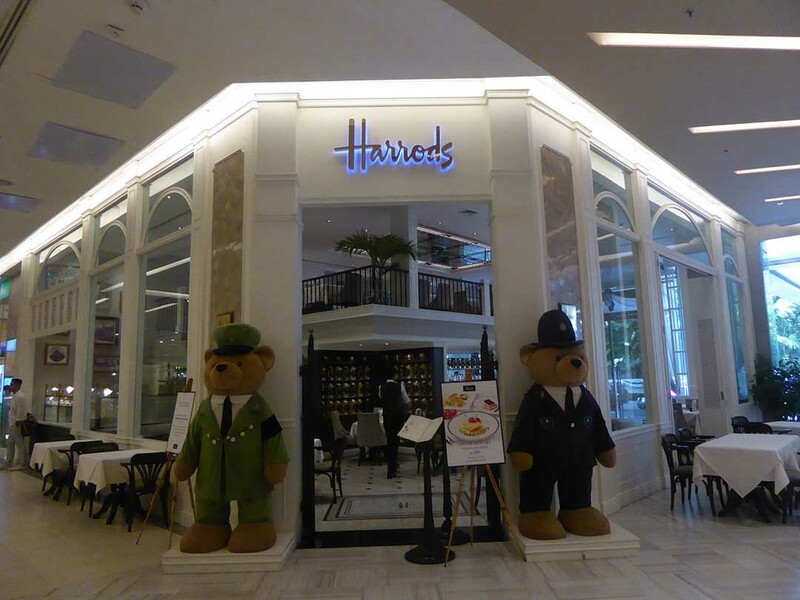 A large choice of restaurants serving a variety of International cuisines can also be found on the 4th floor. 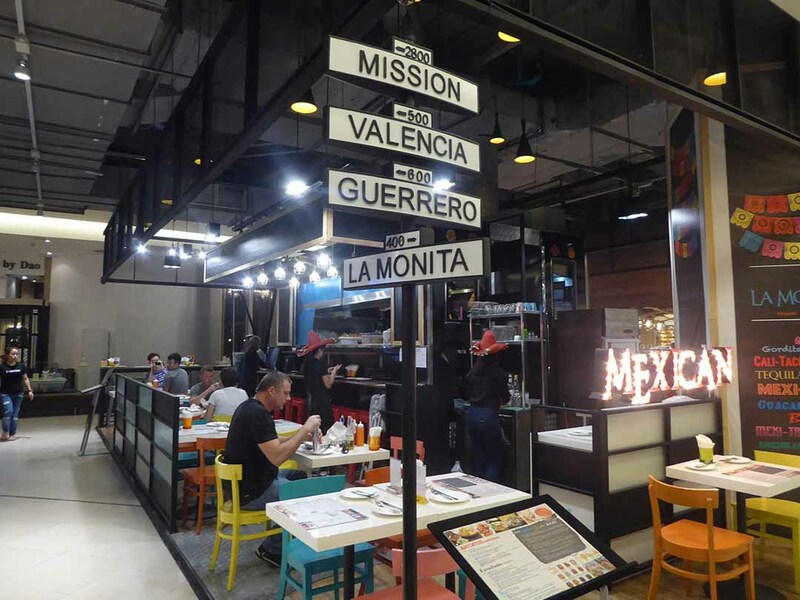 There are coffee shops, dessert cafe & Bakeries around the mall. There are several Foreign Exchange booths and ATM’s can be found on all floors. Siam Paragon is wheelchair friendly and complimentary wheelchairs are available for use within the complex. Complimentary baby strollers are also available. 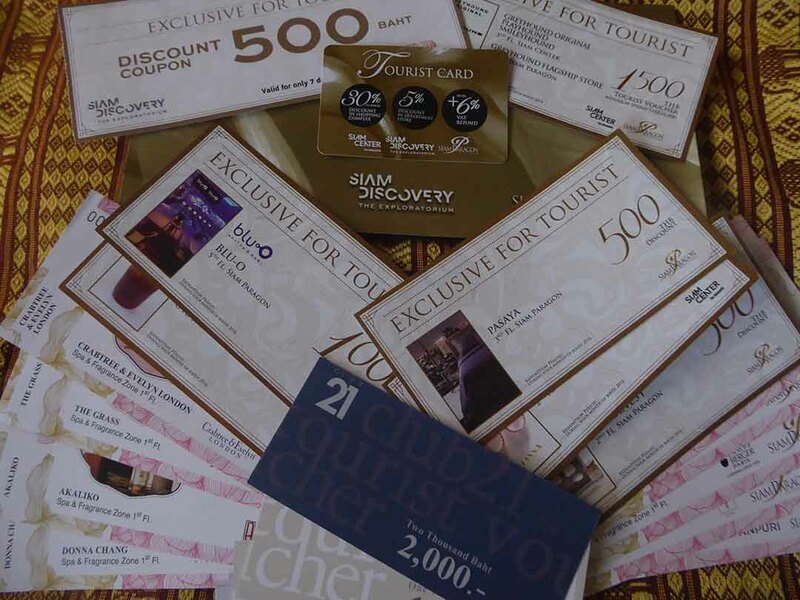 TIP – Foreign Tourists can get a Siam Paragon Tourist Discount Card which gives a 5% discount in the department store and other discounts up to 70% at participating outlets in the mall as well as a 6% VAT refund. The card can be obtained from the customer service desk on the ground floor on the production of your passport. The card is also valid for use at Siam Center, Siam Discovery Center & Iconsiam. 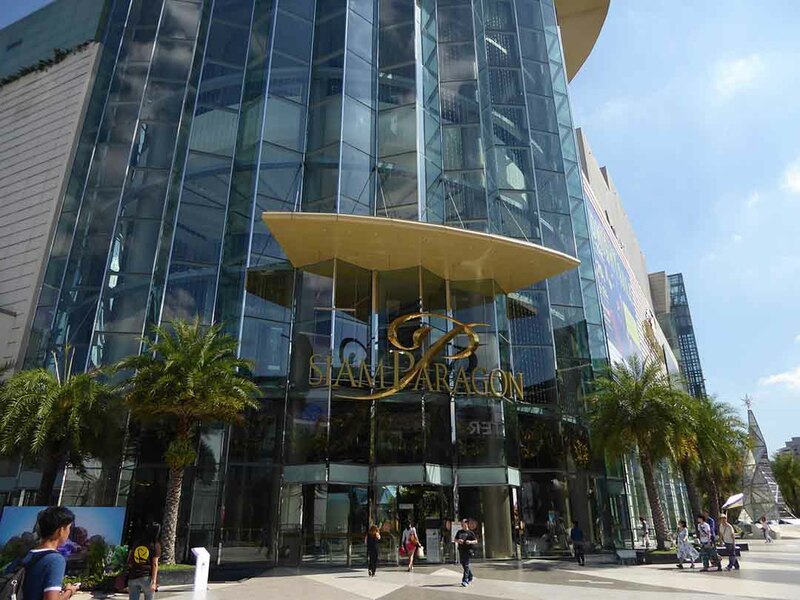 Siam Paragon is in the heart of the Ratchaprasong shopping district. The main entrance connects to BTS Siam Station by a walkway. A covered walkway also connects Siam Paragon with Central World Mall, Gaysorn Plaza, Amarin Plaza, and Erawan Plaza extending all the way to Chit Lom BTS Station. There is a taxi rank manned by an attendant outside the basement entrance. The Giants Tour Hop On Hop Off Bus picks up at Siam Paragon every 45 minutes.